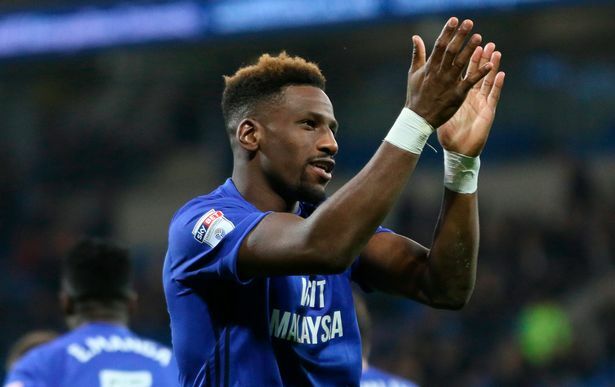 Striker Omar Bogle has joined Birmingham City, a former club of his, on a season long loan. Bogle will wear the no. 14 shirt and will be available for selection for Birmingham's game with Middlesbrough on Saturday. He was at the club between 2009 and 2011 as a youth player and now the 25 year old wants to 'finish what he started'. “When the chance came up to come back here I couldn’t turn it down to be honest," Bogle said. "I had some good clubs and good options but when Blues came up I had to come here. I had to finish what I started. Bogle joined Cardiff from Wigan a year ago but has struggled to command a regular place in the City first team. He spent time away last season on loan at Peterborough and still has two years left on his Cardiff contract.